Leo first learned about L.A. Kitchen when he toured the facility with his transitional housing program, First Place for Youth, and he immediately fell in love. 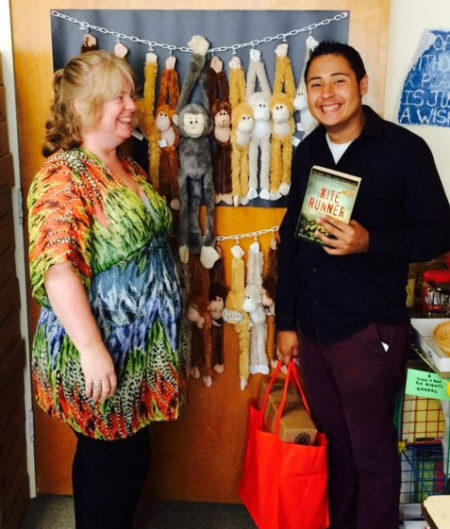 Extraordinary Families also partners with L.A. Kitchen, referring our young adults to the program when possible. For those who are unfamiliar, L.A. Kitchen prepares youth aging out of foster care, older adults exiting the prison system, and others struggling with barriers to employment for careers in the food service industry. 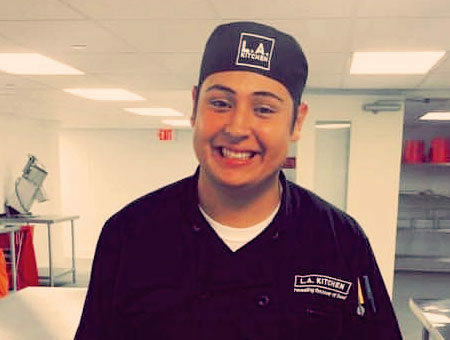 Using a whole-person approach to vocational training, incorporating culinary arts, life skills, nutrition education, community activism, and professional development, L.A. Kitchen empowers its participants, helps reduce systemic patterns of recidivism into the prison system, and reverses anticipated outcomes for youth who have experienced foster care. Over the course of the 15-week training cycle, students receive daily hands-on training from a certified culinary instructor, attend sessions on specialized techniques taught by local guest chefs, and intern with innovative industry professionals. On-staff social workers also work with and focus on the needs of each participant to support them through the process. Graduates receive food handling certificates, job placement support, and continuing personal and professional support. As a part of the program, L.A. Kitchen also distributes fresh meals and snacks to social service agencies that serve Los Angeles’ most vulnerable populations. Congratulations Leo! We are so honored to be a part of your life journey, and we can’t wait to get a sample of your culinary skills! I’m so touched by your encouraging message and positive attitude, congratulations! You did it!